I can’t believe how quickly time flies. I missed a whole month of blogging. In case you were wondering what I’ve been doing, I’m working on a new nail training school that is set to launch this Spring. I have apprenticed several nail techs in my salon over the years to help them earn their licenses, but I think I can make a bigger difference faster if I can open a school. Hopefully I can find some real talent -- people who are passionate about nails and can join my business. As I mentioned in my last post, I wanted to take a closer look at my staff to see who works and who doesn't. I am happy to say that most of my staff is awesome, but there's always one or a few that need a little adjustment. Running a salon is challenging when competition is so intense, so if your staff is lacking in customer service or any other areas then it can really hurt the business. And at this economy, we can’t afford to miss anything or anyone! This year my goal is to create a dream team, a team that everyone wants to be part of and are happy that they are in. 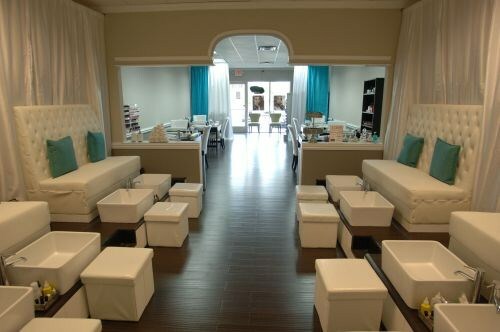 A team that clients really can appreciate and know that we have their nails as our top priority.